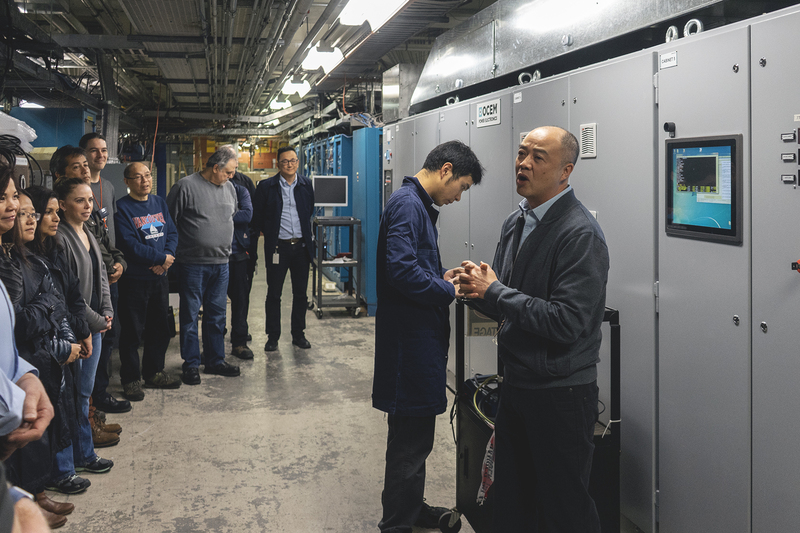 On Friday, April 6th, members from many TRIUMF departments assembled in the 2nd-level basement of the Service Annex to celebrate the successful installation of the new main magnet power supply (MMPS). 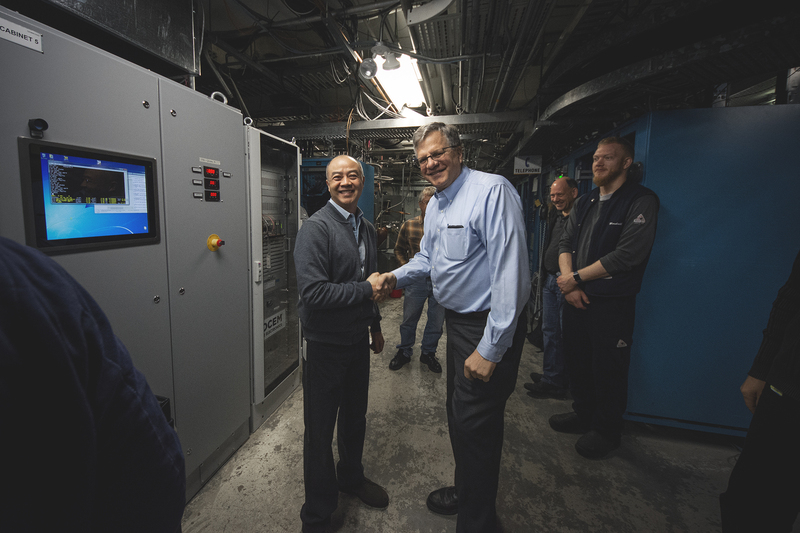 Though the MMPS has been commissioned and is now operational, the install team and others gathered to symbolically press the ‘on’ button and listen to a few words from Head of Accelerator Systems Yuri Bylinski and Power Systems Group Leader Dan Louie. The new main magnet power supply has an output current of 18,000A, stably regulated to 1ppm. The original main magnet supply, which served the cyclotron and TRIUMF for decades, was laid to rest on December 21st, 2017. Yuri, Dan, and the entire TRIUMF community look forward to a successful reactivation of the cyclotron as our shutdown period comes to a close. 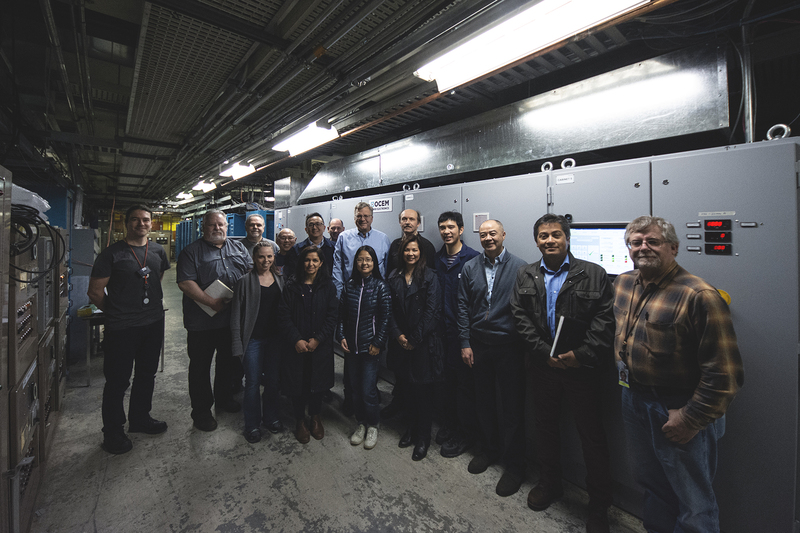 Congratulations to the MMPS install team and everyone from across the TRIUMF community who helped bring the new power supply online!